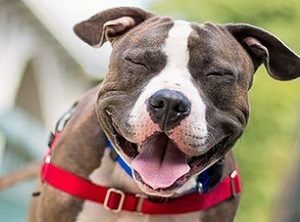 Call me a purist, call me a uptight prick, call me whatever you like but I am extremely frustrated with the United Kennel Club and their practices when it comes to the American Pit Bull Terrier. 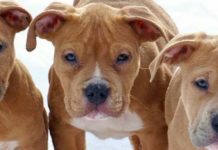 One of the main registries for the American Pit Bull Terrier is dishonoring the breed in such a way that they should be ashamed. I deplore, loath, hate!, what they are allowing people to do to the breed. 1. 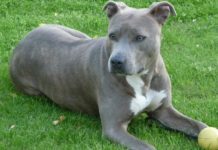 95 pound female, standing 20 inches tall, UKC registered. 2. 115 lbs (unreal) and stands 22 inches at the withers. Again, UKC registered. 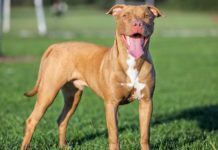 “The American Pit Bull Terrier must be both powerful and agile so actual weight and height are less important than the correct proportion of weight to height. Desirable weight for a mature male in good condition is between 35 and 60 pounds. Desirable weight for a mature female in good condition is between 30 and 50 pounds. Dogs over these weights are not to be penalized unless they are disproportionately massive or rangy. I bolded the parts that I’m thrown off by. So if height and weight doesn’t matter why have a desirable weight at all? The female mentioned above is 45 pounds over the desirable weight limit and the male dog is 55 pounds over the desirable weight limit. I understand some dogs will be a little over the desirable weight limit. However, 45-55 lbs over the weight limit is a bit of stretch dontcha think? Why even have a standard? Really, it doesn’t make sense. If you let anyone register anything then the standard is pointless. I don’t care who you are or what excuse you give me, if you breed a dog that is 115 lbs. 22 inches at the withers, and call it an American Pit Bull Terrier, you are an idiot. If the UKC would stop registering these behemoths as American Pit Bull Terriers hopefully the people selling these dogs would move to either create their own registry or move to another registry. Either way, I’d smile. You may think I’m a prick for downing these dogs. It is not the dogs fault but just like a Maltipoo, these dogs are useless. I am a functional canine kind of guy. I love working dogs. 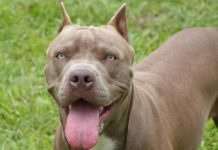 Pit Bull Terriers, that is, American Pit Bull Terriers should be bred, sold, and used as working dogs. 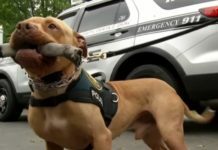 Now before I get a hundred emails from Pit Bull mix owners, owners who have rescued Pit Bull Terriers, or the “bully style” owner, read the above paragraph twice. One day, I sincerely hope the UKC recognizes the situation for what it is. 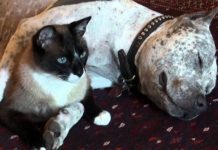 The real American Pit Bull Terrier is being pushed out by these freak show dogs and their idiot breeders. One day, the real APBT will be underground, unregistered, and I really find that sad. The greatest dog in the world, turned into a freak of nature. The UKC is an accomplice in this horrible crime and they should be ashamed.